Inner dome of the old cathedral. Sanctuary of the church. Luxurious interior of the cathedral. Hand-painted dome and a shining golden chandelier. 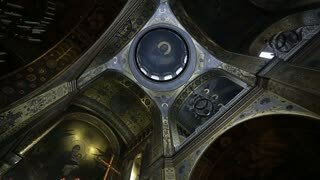 Vladimir cathedral dome with images. Golden domes of St. Michael's Cathedral. Beautiful sunny day. Huge monastery. 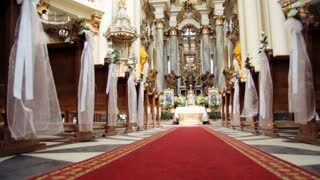 White beautiful church. Architecture of the Christian church. 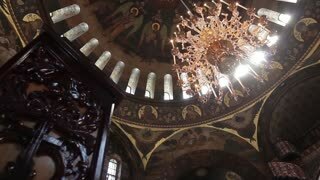 Golden dome of the Orthodox church. Panorama of the old church. Huge church with gold domes on blue sky background. Church with beautiful architecture. Old monastery. Old cathedral with beautiful modeling. Courtyard of the Orthodox Church. Parishioners go in the service of the church. 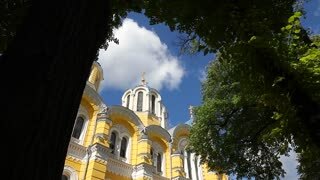 Historical church with gold domes. The old cathedral. Architecture of the ancient church. Golden domes of the beautiful cathedral. 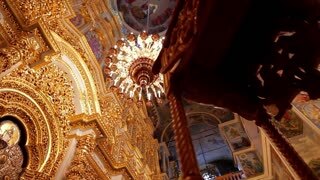 Huge Orthodox Church. Christian religion. Beautiful church on a background of blue sky. Historical cathedral. 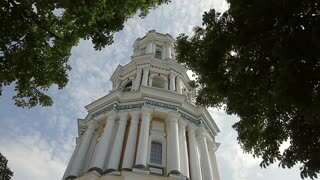 High bell tower. House of Prayer. 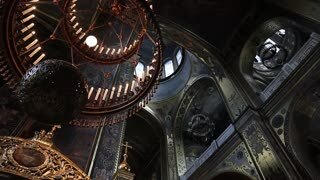 Beautiful architecture of the church. Interior of the historic church. Paintings on the walls of the cathedral. Gold chandelier hanging in the center of a huge dome. Architecture art.